There are some famous stars whose names seem almost impossible to pronounce and spell. From Cara Delevingne to Chiwetel Ejiofor to Quvenzhané Wallis to Nikolaj Coster-Waldau to Mary Lynn Rajskub, the list goes on and on when it comes to difficult names. With that said, we can add Selma actor David Oyelowo to that list. 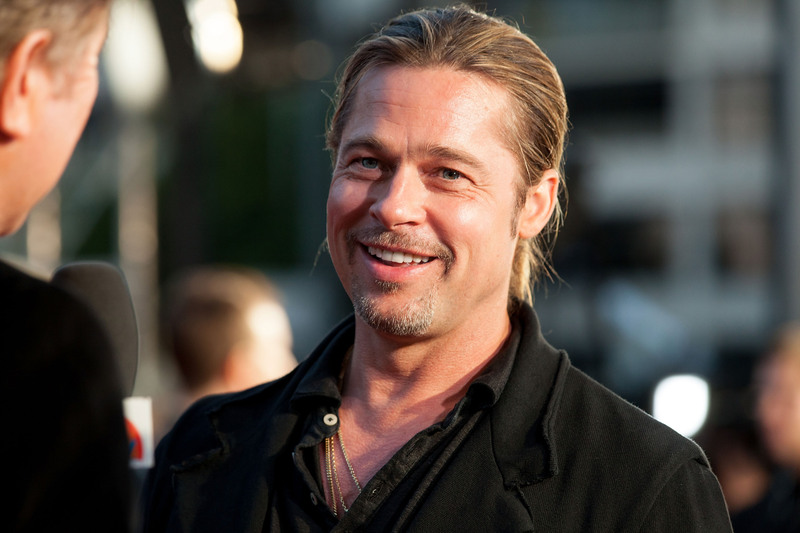 If you've been wondering just how to pronounce his last name, fret no more, because Brad Pitt is teaching the world how to say David Oyelowo through song. Thank you, Mr. Pitt. Thank you. Tonight we celebrate an actor brave enough to step into the shoes of Martin Luther King. I know there is one lingering question in the back of your minds. And that question is, "How the hell do you pronounce his name?" Pitt spoke the truth, and rather than just saying it, Pitt kicked it up a notch by singing his name, because that's easiest, right? He also found help from the tune of "Olé, Olé, Olé" and Coldplay's "Yellow." What a range of music choices. He even got the audience to participate. Leave to it Pitt to start a sing-along at an awards show. I can't help but wonder: is this how Pitt teaches his children to read? If so, I'd like a video of that, stat. Please and thank you. Not only will I have the tune of "Olé, Olé, Olé" stuck in my head all day, but I will also never forget how to pronounce Oyelowo.